Wet ends made of high reinforced engineering thermal plastic with compact structure and corrosive-resistance. 1.5 inch Inlet and Outlet. High efficient structure design for diffusor and impeller to get higher performance. No contact between motor shaft and liquid. Motor / Pump shaft has no contact with the water. 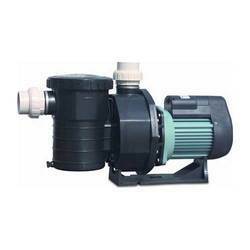 The¿¿swimming pool pump and motor¿¿(commonly referred to as the "pool pump") is one of the most important parts of the swimming pool. Just as it would be impossible to swim in a pool without water, it would be impossible to keep that water clean without proper circulation and filtration. 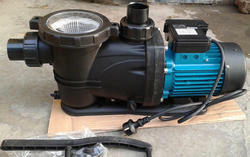 Manufacturer & Supplier of Pool Pump. Our product range also comprises of Pool Surround Equipment, Swimming Pool Cleaning Equipment and Under Water Lights.